Tucked in among the mountains, San Pantaleo is a rare traditional Galluran village and one of the prettiest on the island. Olbia, the urban centre, is the closest arrival point on the island from Italy’s mainland. 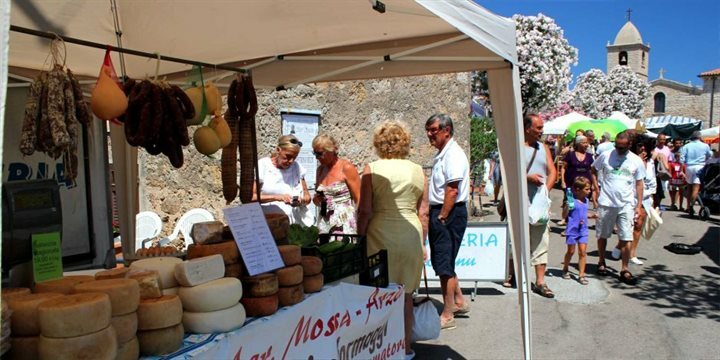 In the summer, the village boasts regular “feste” and a bustling weekly market, ideal for those looking to experience a piece of Sardinian culture. San Pantaleo is also well poised to explore the many beaches on the Costa Smeralda and the bay of Arzachena. Our San Pantaleo properties are all within easy reach of the coast, usually 10-20 minutes drive away. Eat out in the easily found pizzerie and agriturismi (farm restaurants) often owned by members of local families who were here long before any development started. Amongst others, we recommended the Agriturismi Tenuta Pilastru, La Sasima or la Somara, all set in the country around San Pantaleo - prices are reasonable. Olbia is generally not intended as the main attraction for visitors to Sardinia, however you will find fellow tourists and some personnel from the NATO bases in the old town, one of the most appealing spots with bars, restaurants and the Romanesque church of San Simplicio.